This post is update for promised additional functionality based on my previous post - CRUD Use Case Implementation and ADF Query Search. 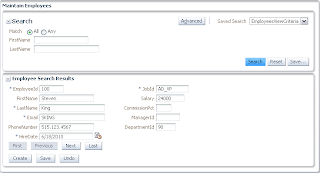 I will describe use case to display search results, when ADF Query is implemented together with ADF Form. This is just one of possible implementations, but I believe it can be useful when planning Oracle Forms migration to ADF 11g. 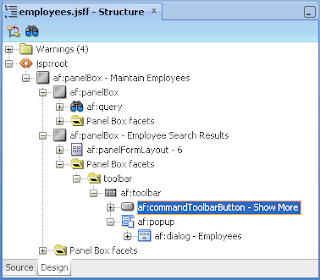 You can download updated sample application - ADFPageOpening_v3.zip. There is Show More button displayed in the form block. User can open same multiple results block later using this button and select another record from the list. 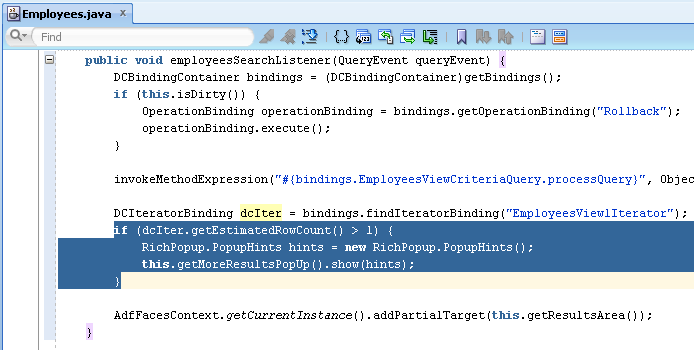 All described enhancements are available with sample application - enjoy! each time i click the search on one tab on the other the input text fields disappear. we have a requirement to write custom search. Can we save custom searche's. If so how do we do that. Also, can we use MDS in custom search. Again, if so how do we do that. Please suggest. 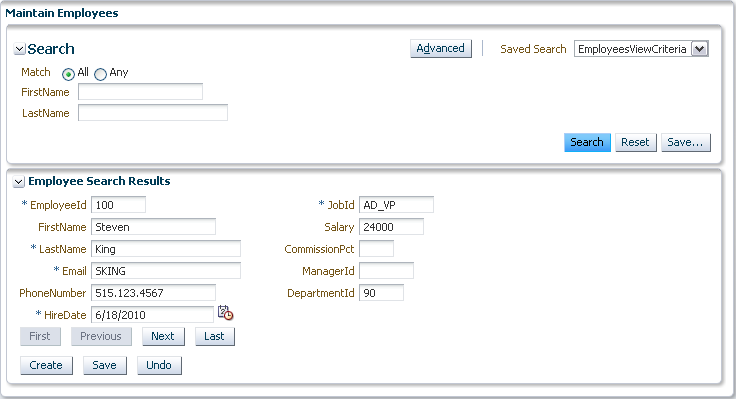 How to change the fields labels in the search form. The search form shows the same label in the view object which is not user friendly. for example the in Employee table. Instead of (Fname) I need to have in the label (First Name). 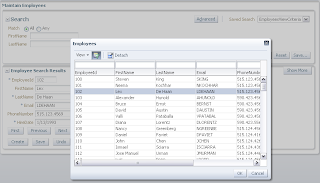 Note, I could change the fields names in the table but not in the search form . 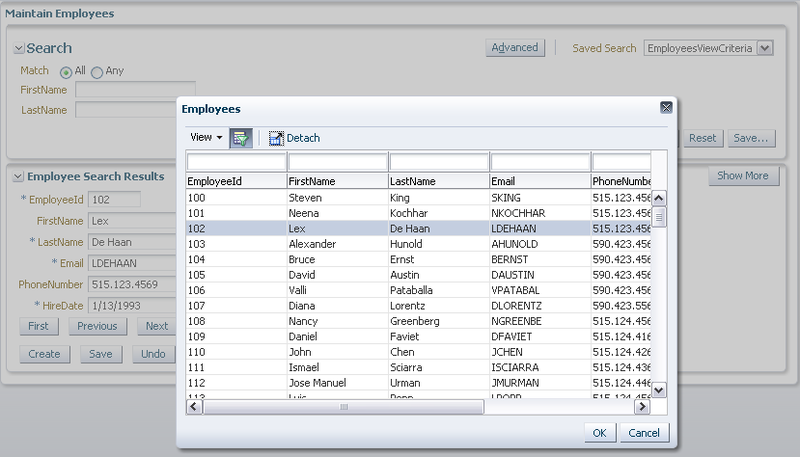 You can set a label on VO attribute.